Get away from it all and come to Cork and see all there is to see and do this Spring 2019. Stay in the heart of the Victorian Quarter of Cork city centre. 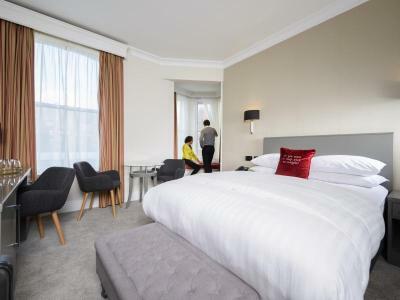 Treat yourself to a two-night breakaway to the heart of Cork City Centre and stay in one of our stylish newly refurbished guestrooms, while enjoying a delicious Full Irish A la Carte Breakfast on both mornings. Each of these rooms contain a Flat Screen TV, Tea and coffee making facilities, Iron & Ironing Board, Robes & Slippers, Bottled water, Fruit Treat. You have complimentary access to the hotels Leisure Centre to include 20M Swimming Pool, Sauna, Steam-room and Gymnasium. Enjoy Free Parking, Free 300MB WiFi and Free Cancellation. 1 Night Dinner, Bed & Breakfast with Free Parking. Located only minutes from the main shopping district, The Metropole Hotel is the perfect base for your midweek break. Enjoy 1 Nights Bed & Breakfast with Dinner on 1 Evening in the newly refurbished MET (Bar & Restaurant). Free car parking and use of our on site leisure centre is also included. FREE cancellationNo DepositTaxes IncludedBook now, Pay when you arrive!! Enjoy a relaxing overnight stay in the heart of Cork city at The Metropole Hotel Cork. 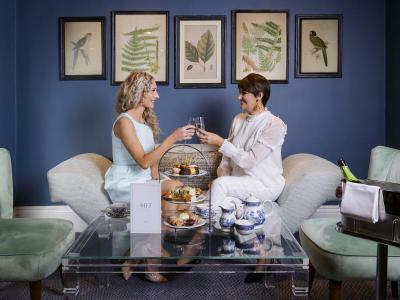 Indulge and enjoy our classic Afternoon Tea with a glass of Prosecco in our recently refurbished Tea Room at The MET and enjoy full Irish a La Carte Breakfast the following morning. To allow you to soak up all we have to offer, we will include a late checkout (2pm) on the day of departure. You can also visit our superb Leisure Centre which includes a 20M pool. Visit the world famous Jameson Whiskey Distillery in Midleton, enjoy a luxurious stay, including Breakfast at the city centre Metropole Hotel and indulge in a Signature Whiskey cocktail in our newly refurbished MET Bar. 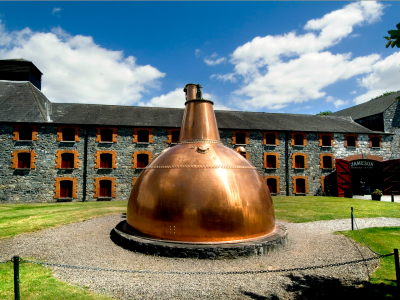 Package includes 2 tickets to the Jameson Whiskey Distillery to include fully guided tour, comparative whiskey tasting and a complimentary Jameson signature drink.